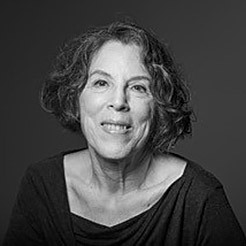 Amy Gross has been practicing mindfulness meditation since l994, sitting many retreats, including two three-month retreats, at the Insight Meditation Society, Forest Refuge, and Spirit Rock Meditation Center. A former magazine writer and editor, she last served as editor in chief of “O, The Oprah Magazine” before retiring to devote herself to practice and teaching MBSR. She completed the Professional Training workshop led by Jon Kabat-Zinn, PhD, founder of MBSR and of the UMass Medical School’s Center for Mindfulness in Medicine, Health Care, and Society, and Saki Santorelli, EdD, then-Executive Director of the CFM. She also completed the CFM’s MBSR practicum and Teacher Development Intensive. She remains awed by the course as a brilliant way to retrain our minds, to free us from the kind of reactions that make for stress and suffering.